WASHINGTON, DC – Remodeler Dan Bawden, CAPS, GMB, CGR, CGP, of Houston, Texas, was installed as the 2017 Chairman of the National Association of Home Builders (NAHB) Remodelers on Jan. 10 during the International Builders’ Show in Orlando, Fla.
As chairman of NAHB Remodelers, Bawden represents the more than 53,000 members of NAHB who are involved in the remodeling industry, and oversees policy and legislative matters affecting the remodeling industry. Chairman of NAHBR is the top leadership position in the country with oversight over the $326 billion dollar remodeling industry. Bawden has over 35 years in the remodeling business, and is also a licensed attorney. 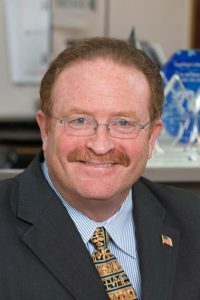 He was instrumental in the creation of NAHB’s Certified Aging-in-Place Specialist (CAPS) designation program, a partnership with the NAHB Research Center and AARP, in 2002. He is a Past President of the Greater Houston Builders Association and was the first remodeling specialist ever named to the position. During his tenure as the Houston president, Bawden worked with NAHB to start the the Certified Graduate Remodeling (“CGR) College” in Houston, which has since grown to be one of the largest builder/remodeler educational programs in the country. In addition to his educational efforts, Bawden has sat on the NAHB Board of Directors since 1995 and is still an active member of that board. He was named “Texas Remodeler of the Year” four times, “Houston Remodeler of the Year” twice, was the 2005 NAHB Certified Graduate Remodeler (CGR) of the Year and the 2011 NAHB CAPS Educator of the Year. He continues to write courses for NAHB and teaches classes to industry professionals and is one of NAHB’s highest-rated technical instructors. 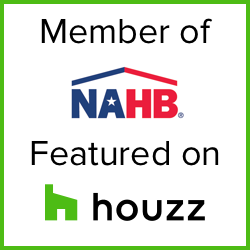 ABOUT NAHB REMODELERS: NAHB Remodelers is America’s home for professional remodelers, representing the more than 53,000 members of the National Association of Home Builders (NAHB) who are involved in the remodeling industry. Founded in 1982, the organization provides information, education and designation programs to improve the business and construction expertise of its members and to enhance the professional image of the industry. 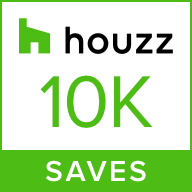 Its membership incorporates more than 100 local councils nationwide. Learn more about remodeling at nahb.org/remodel. ABOUT NAHB: The National Association of Home Builders is a Washington-based trade association representing more than 140,000 members involved in remodeling, home building, multifamily construction, property management, subcontracting, design, housing finance, building product manufacturing and other aspects of residential and light commercial construction. NAHB is affiliated with 800 state and local home builders associations around the country. NAHB’s builder members will construct about 80 percent of the new housing units projected for this year.